Lightweight outdoors backpack in weather resistant heavy duty polyester. 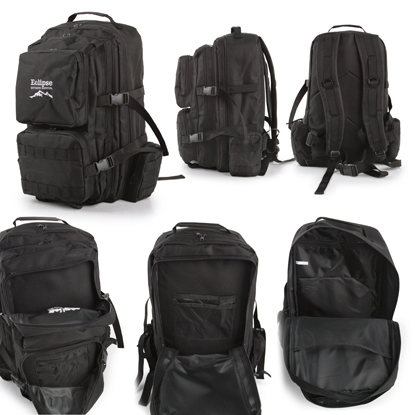 Full access, clamshell zippered main compartment with mesh pockets. Front pouch section with mesh pocket and zippered utility pocket for keys etc. Two quick stow zippered pouch pockets to the front and two to the sides. Anti-burst buckled belts to the sides. 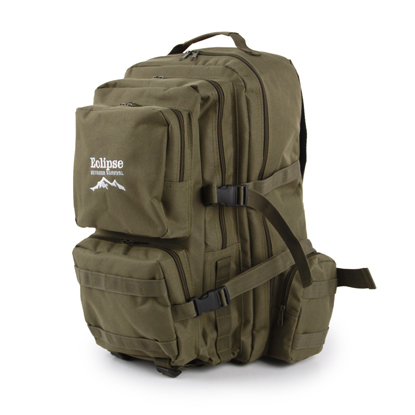 Reinforced carry handle and adjustable padded shoulder straps.